Following the USFL's second season, its owners decided to file a lawsuit against the National Football League for violation of the Sherman Antitrust Act. Also named as a defendant was Pete Rozelle, commissioner of the NFL, while Al Davis and his Los Angeles Raiders were excluded from the suit in exchange for Davis's testimony for the USFL. The league sought actual damages of $567 million dollars which, when trebled, would amount to more than $1.7 billion. Chief among the USFL's arguments was that the NFL, which had contracts with ABC, NBC and CBS, had pressured the networks to not televise the USFL in the fall. The league also claimed that the NFL had followed the practices outlined in the Porter Presentation, a package compiled by a Harvard professor to show the NFL how to conquer its new competitor. In particular, the USFL maintained that the NFL had conspired to harm the Oakland Invaders and New Jersey Generals. The trial, which lasted 48 days, produced more than 7100 pages of transcripts and thousands of pages of exhibits. Among those testifying were Rozelle, USFL commissioner Harry Usher, Howard Cosell, Davis, Donald Trump and a litany of television executives. Additionally, team owners from both leagues, including the late owner of the Tampa Bay Bandits, John Bassett, via videotape, were called to testify. On July 29, 1986, the United States Football League won the battle but lost its war against the National Football League. After five days of deliberation, the jury that heard the USFL's case against the NFL found the older league guilty of monopolizing professional football and of using predatory tactics but awarded the USFL just $1 in damages. The fact that the antitrust award was trebled to $3 was of little solace to the struggling owners of the eight remaining USFL teams. While the jury found that the NFL had willfully acquired and maintained a monopolization of professional football, it ruled against the rest of the USFL's claims. It did not find that the NFL controlled or attempted to control the television market. The vital claims were those based on television revenues, and those were the ones that the jury did not accept. The jury felt that the USFL had abandoned its original plan to patiently build fan support while containing costs and had instead pursued a merger strategy. Moreover, the announced move to the fall also caused the abandonment of major markets and led to further fan skepticism. In essence, the jury ruled that although the USFL was harmed by the NFL's monopolization of pro football, most of the upstart league's problems were the result of its own mismanagement. Statements reflecting jury confusion were subsequently ignored. 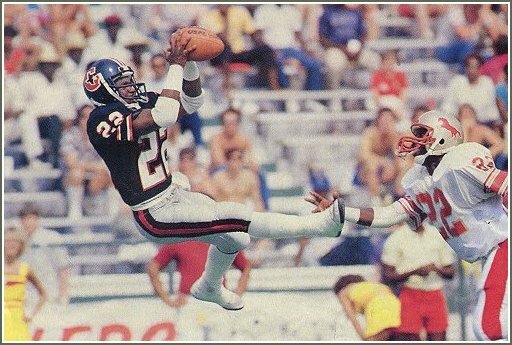 On August 4, 1986, the USFL decided to suspend operations for the upcoming season. The league released most of its remaining players to look for employment in the NFL or Canadian Football League shortly thereafter. The league would not play another game. The USFL's request for a new trial on damages was rejected, and subsequent appeals were unsuccessful. The league was able to win its court costs back, but this amounted to just $6-10 million.